Some of you might have heard the news, but for those who didn't (from possible CES overload) FUNimation just announced a page and eventual DVD/Blu Ray sales for FLCL (Fooly Cooly). They bought the rights from Gainax for the series and supposedly they are going to...re dub the series. Now I'm a big fan of FUNimation, don't get me wrong. They used their DBZ money to buy out failing licenses from Gonzo, Gainax plus others to essentially keep anime in America amid the economic crap storm, lack of anime airing on Cartoon Network / Adult Swim and the obvious piracy of anime that's the fault of both eager fans and unimaginative licensees. A crap storm of which has eroded the industry. In other words, they are keeping anime alive in America despite sort of becoming a monopoly. As my handle being "princetrunks" across the internet and having some stock in their parent company Naveer Corp, I of course will be in their favor. Yet, if they are honestly going to re dub the series, I can't help but ask the question, "why?" FUNimation's voice talent is top notch, I won't deny their experience and their ability to actually do great anime voice dubbing but as both an anime purest and a business owner, I can't see why they would re dub it. 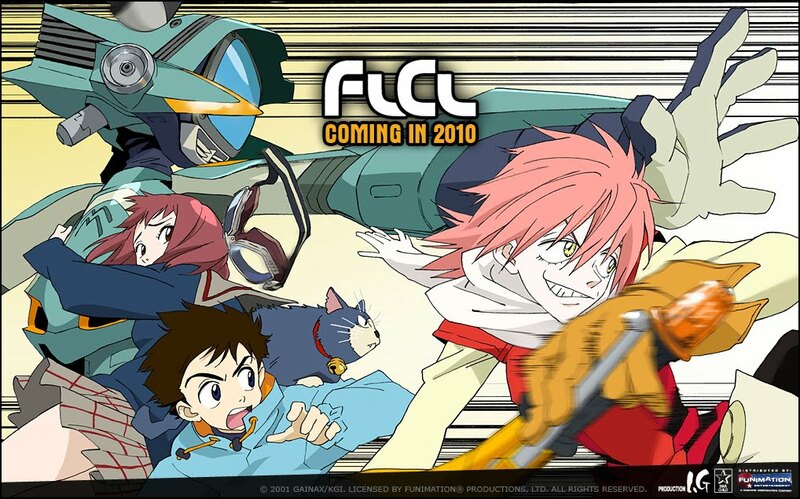 Back when you could actually call Cartoon Network, "Cartoon Network" without laughing and making MTV comparisons, FLCL got great ratings and became one of those "hard-core, WTF?" anime series to make it on the US airwaves. The original dubbing was top notch and some the fandom is still strong. My only guess is that the reason why they might be re dubbing it is that the process of licenses is even more out of date and convoluted than I can even imagine and they might own the images but not the audio (-_-) Time for the content owners and the whole copyright / license system to get into the 21st century. We are already in the second decade of the century and $ is being wasted on bureaucratic BS. Anyways, while we are on the topic of the redubbing of anime...there is a certain series FUNimation should really focus on a re-do...I think Sailor Moon is loooong overdue for such a treatment. Japan has already created remastered DVDs in 2009. Time to take that voice talent to some really good use for both the fans and for the growth of anime. Re-doing Sailor Moon is money in the bag for who ever takes it.